Consuelo is the first friend who joined Arianna and Massimo in 2008, soon after Arianna & Friends had been founded. She lives in Peccioli in a marvellous country cottage overlooking the whole Terre di Pisa valley and she is very proud of her origins. In the company she is the general sales manager and accountant. She loves great wines and sharing good food with her many friends. In many years at Arianna & Friends she has supported the company throughout its evolution with big energy and humor. Canotto, or Otto, is the super cute dog of Veronica. Every day he comes to our office and sleeps on his cushion for hours and hours. Veronica found him abandoned on the way to Peccioli and, after trying to find the old owners with no success, she decided to adopt him. Since then Canotto is the mascotte at Arianna & Friends' appearing in the social media of the company and in the good wish messages of the company at the end of the year :) . In Tuscany it is common to see grape harvesters during the "vendemmia". The harvest takes place between the end of August and mid October. The harvesters spend their whole days in the vineyards picking grapes with their hands and selecting just the best bunches. Elena and Elisa are two very experienced and enthusiastic farmers of Sardinian origin who produce saffron, herbs, olive oil, grains and fruits in a spectacular farm in the woody hills between Volterra and San Gimignano. Their property is in one of the most panoramic locations in Tuscany, the quintessence of the Tuscan landscapes. Sandra is a renowned jeweller in Tuscany who operates in the village of Lajatico, world famous for being the birthtown of Andrea Bocelli. Sandra arranges private classes of jewel making in her small atelier just next to Andrea's mother's home. She is able to make very refined objects in gold or silver joined with any kind of precious stone. Marco is the owner of a small but famous liquor factory in the rural Tuscany whose focus is making delicious traditional and innovative grappas and liquors. Along with his brother and father, Marco creates an endless series of delicious liquors with infusions of fruits, berries, coffee or chocolate as well as very original scents and flavors. 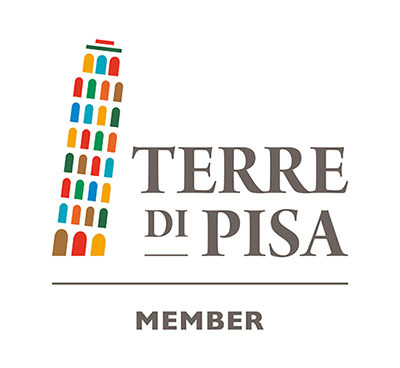 Marco and his family welcome you to visit their factory in the Terre di Pisa district.